Home baker, Jovanka Jayaweera has recently expanded her business to include a variety of savoury treats and her Jumbo Hot Dog with Homemade Sauce (Rs. 150) is our all-time favourite! While the bun and sausage is store bought, Jovanka makes a great chillie and tomato based sauce that has great flavour and spice which really makes this hot dog one of the best you'll ever taste! 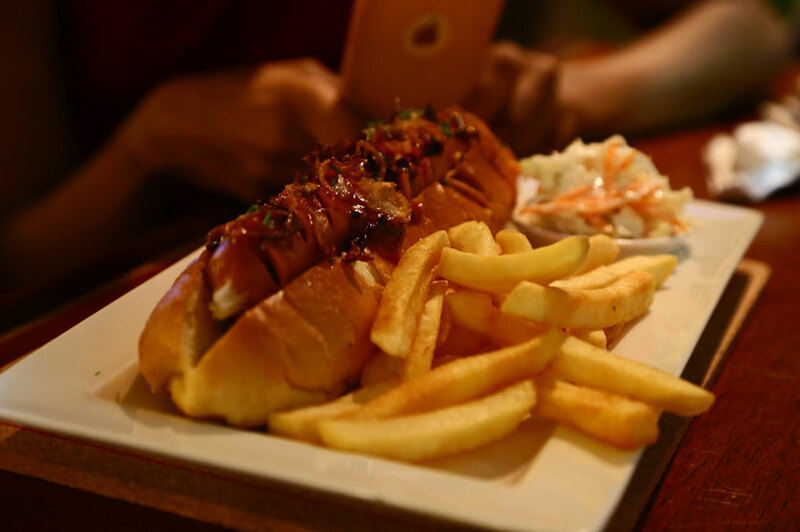 Cheers Pub at Cinnamon Grand has a Jumbo Hot Dog at an eyebrow-raising price of Rs. 800+. Justifying the price they do deliver a rather large sized hot dog that is easily shared by two. 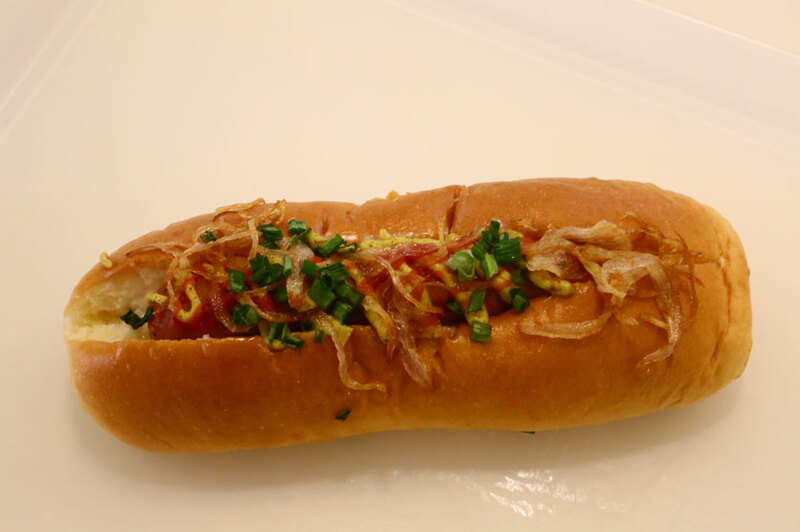 Served with a side of fries and coleslaw with crispy fried onions on top of the hot dog – we really enjoyed the meal. An absolute classic, Elephant House has kept their famous hot dog consistent over the years. They have several outlets at Majestic City, Odel, Gonuts, and Fountain Café. 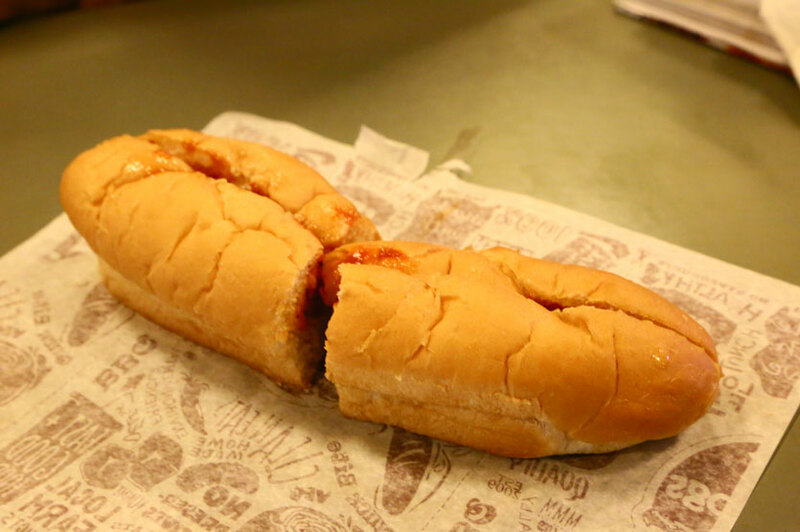 We tried their hot dogs on a promotion day where you buy a Big Chicken Hot Dog at Rs. 200 you get a Traditional Hot Dog free. Served with their famous mustard sauce, it's a relief to know that some things never change! 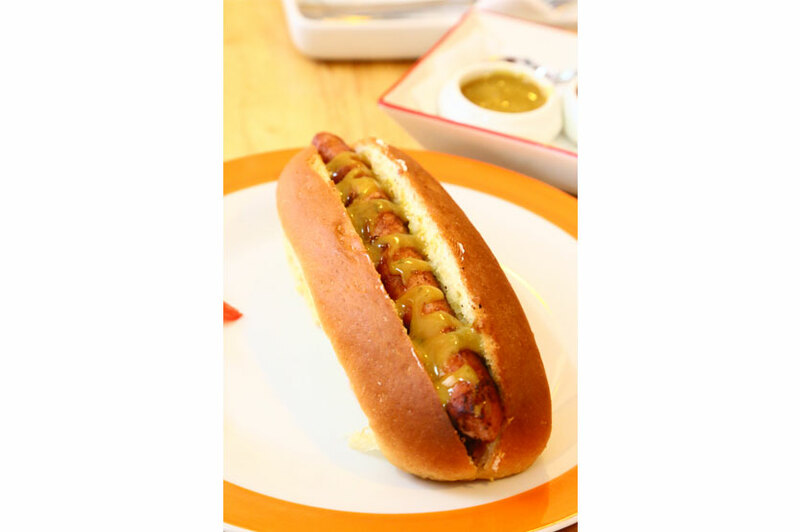 Juicy and succulent, you can never get enough of the Elephant House Hot Dog! They also deliver, which is great when the craving hits! The Bread Company in Thimbirigasyaya serves up hot dogs at Rs. 450. You have a choice between chicken sausages or pork sausages so we selected the chicken sausage hot dog. We weren't big fans of the sauce that accompanied the hot dog because the flavour of it felt a little strange to us but we did enjoy their sausage. Overall, we thought the hot dog was good value for money. The Chicken Hot Dog (Rs. 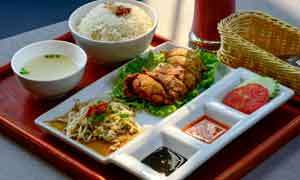 210) at BreadT alk is value for money. It was a 'cold' dog when we had it but I'm sure the staff would heat it up for you if you ask. It was nicely presented and we loved the fried onions on top and the mustard dressing. 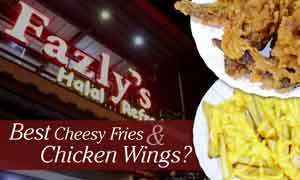 Halal: We're not certain if it is. 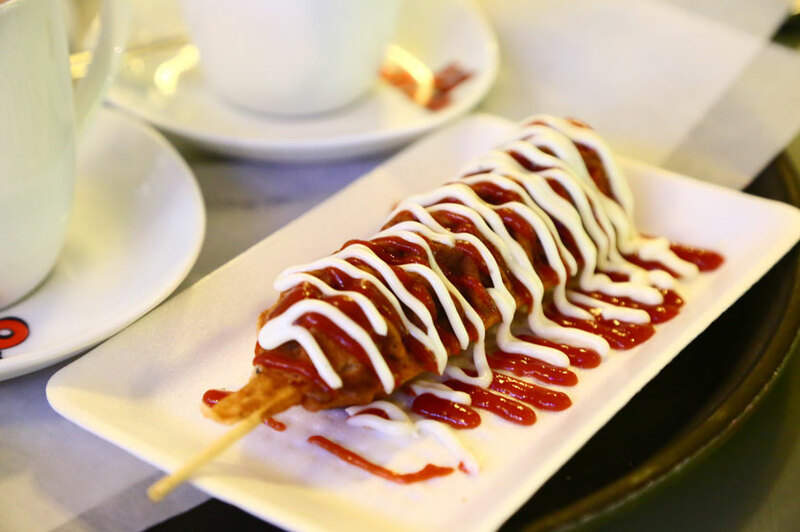 If you consider a waffle dog as a hot dog, then Lil Orbits serves up savoury and sweet waffle dogs at Rs. 200. It's basically a small waffle on a stick with a sausage inside. You can either get a savoury dressing or a sweet dressing. We chose a savoury dressing which is basically ketchup and mayonnaise squeezed on top. I can't say I particularly enjoyed the flavours together but I think the sweet dressing overall would have been a better option because you can choose a chocolate dressing or a peanut dressing or sprinkles. 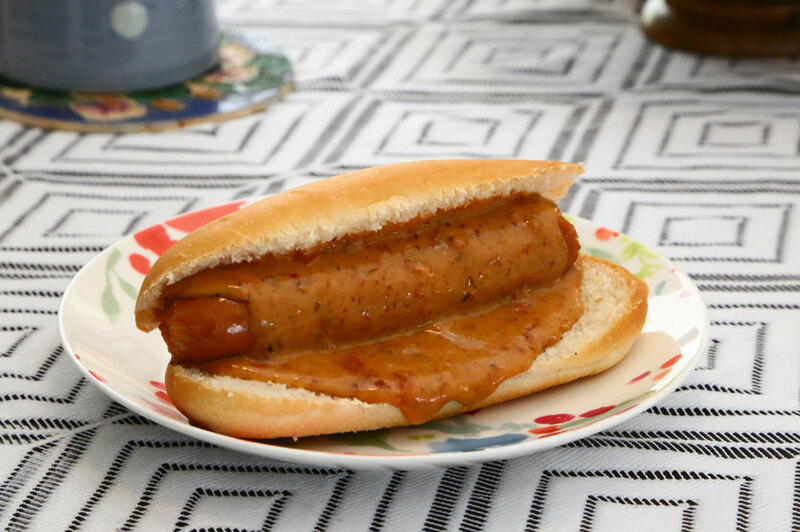 All in all, I think it's a nice twist to the traditional hot dog. As their slogan states 'we are the hotdog people', Star Dogs has over 12 toppings to choose from. We chose the Italian Regular (Rs. 280) on the advice of the vendor and we were not impressed. All we got was a large bun just sloppily slathered with ketchup, mayonnaise and a sprinkle of cheese, and overall it had a very unappetizing look to it. It really doesn't look anything like the advertised picture and had no flavour at all! Giving them the benefit of the doubt – maybe their other toppings are better! Seriously why is it soooooooo necessary to state if the restaurant is 'Halal' or not?????????? ?